This Tropical moonwalk will be a great addition to any Luau or Summer party or event. 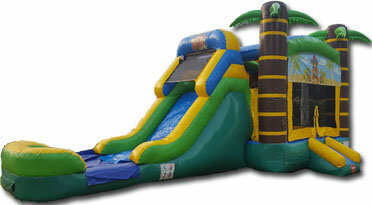 This unit has a bounce area easy climbs steps to the 8 ft tall slide and will turn your party into a huge Jungle fun. 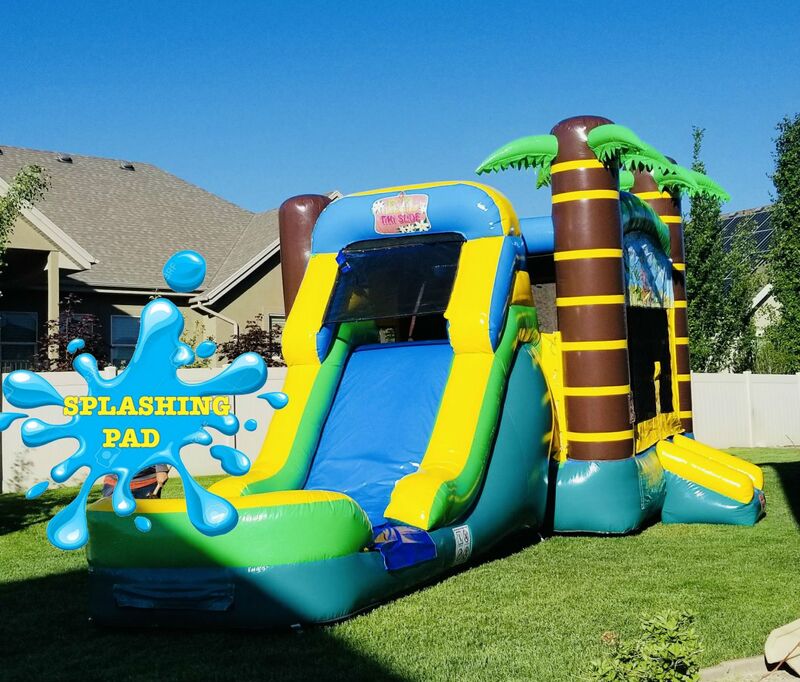 This unit could be set up as a DRY or Wet slide w/pool.